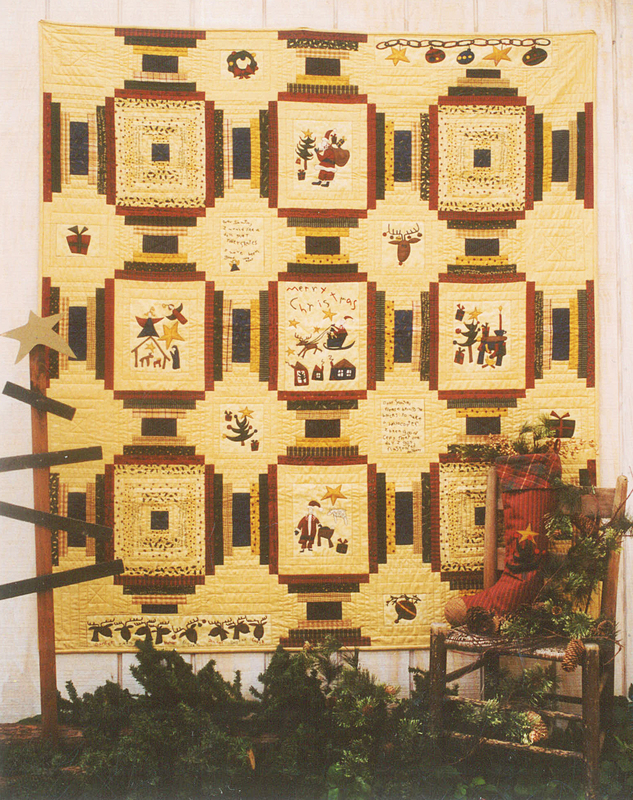 This quilt uses a "Dear Santa" panel by Moda Fabrics. Also included are instructions for making a Christmas stocking. Note: This is not an applique pattern. You will need to purchase a "Dear Santa" panel to complete this project. Quilt: 62" x 68", Stocking: 12" x 20"